Domestic rabbits come in a variety of sizes ranging from Dwarf to Giant. Their lifespan is about 8-12 years. Male rabbits are called Bucks, female rabbits are called does, and baby rabbits are called Kits or Kittens. Rabbits are very intelligent and can be easily litter box trained, taught simple tricks and can even be taught to maneuver an obstacle course using the same training method used with dogs. Rabbits each have distinct personalities and can bond closely with their owners when they are given the proper time and attention. They are as playful and loving as dogs and cats but also have distinct and specific needs. In the right situation, rabbits can make wonderful companions. 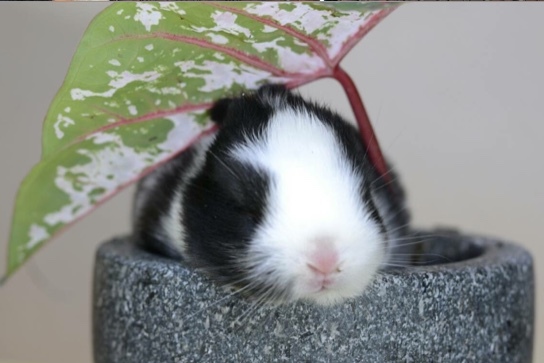 Unfortunately, many people buy rabbits on impulse (generally around Easter) and then relegate them to a small cage where they lose interest in them within days, fail to clean their cage often enough and give them minimal attention. 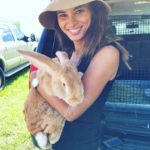 These owners never experience the true joy in having a rabbit as a pet because they never take the time to develop a relationship with their rabbit or provide them with the daily interaction, exercise and care they deserve. The Flemish Giant is considered the largest rabbit breed. Males weigh about 22 lbs. and females weigh about 20 lbs. 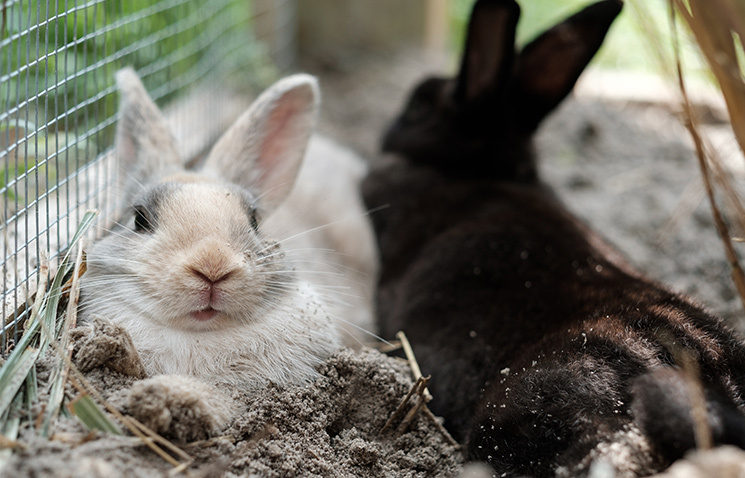 The National Federation of Flemish Giant Rabbit Breeders recognizes 7 colors: Black, Blue, Fawn, Light Gray, Steel Gray, Sandy, and White as the official color varieties. Although they were originally bred mostly for their fur and meat, today the Flemish Giant is bred primarily as a pet or for showing. Nicknamed, “Gentle Giant” the Flemish Giant is known for its gentle disposition and calm friendly nature. Flemish Giants live for approximately 8-10 years. 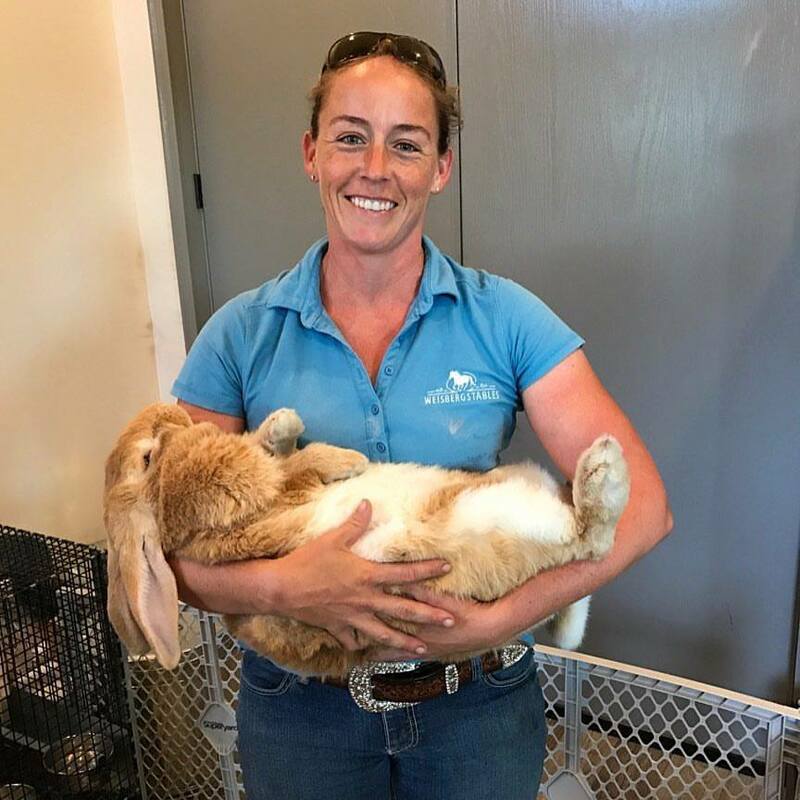 Due to their large size and intolerance for heat, Flemish Giants must be housed in custom-built cages kept indoors in air-conditioned areas. Regular playtime outside of their cage is also necessary to ensure they get adequate exercise and stimulation. Flemish Giants have different nutritional needs than smaller breeds. Flemish Giants should be fed a 16% protein pellet, such as Bunny 16, in addition to unlimited high quality free choice Timothy Hay, fresh greens and vitamin supplements. Twix, is our 2 year old Sandy Flemish Giant buck. He enjoys getting cilantro, parsley or slices of raw sweet potato from new friends who come to visit. He is very curious and loves interacting with people, particularly those he sees regularly. Our outdoor rabbit enclosure is home to Beauty, Butterscotch & Bunny. They are our female mixed breed shorthaired rabbits. They are bonded from 3 different litters born within days of each other. While rabbits prefer to be in the company of other rabbits, it is generally harder to pair them up later in life. For that reason we recommend having at least two rabbits if possible. Outdoor rabbit enclosures (that are predator proof and provide shelter from heat and rain) can be wonderful housing for rabbits that can tolerate outdoor temperatures. 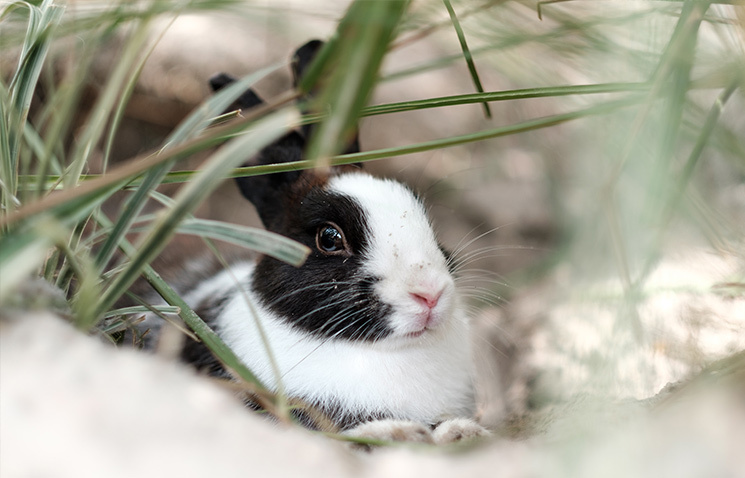 Many owners prefer outdoor enclosures because they are easier to clean and provide a safe place to play with your rabbit and provide exercise and natural enrichment. At Weisberg Stables we bring our bunnies in during high or low temperatures and use their outdoor enclosure for playtime and enrichment.